There are fewer names in the Halloween industry more iconic than Ben Cooper, the costume brand first launched eight decades ago by the brothers Ben and Nat Cooper, who broke new ground in their innovative use of licensed pop culture icons from the likes of Disney and Star Wars. 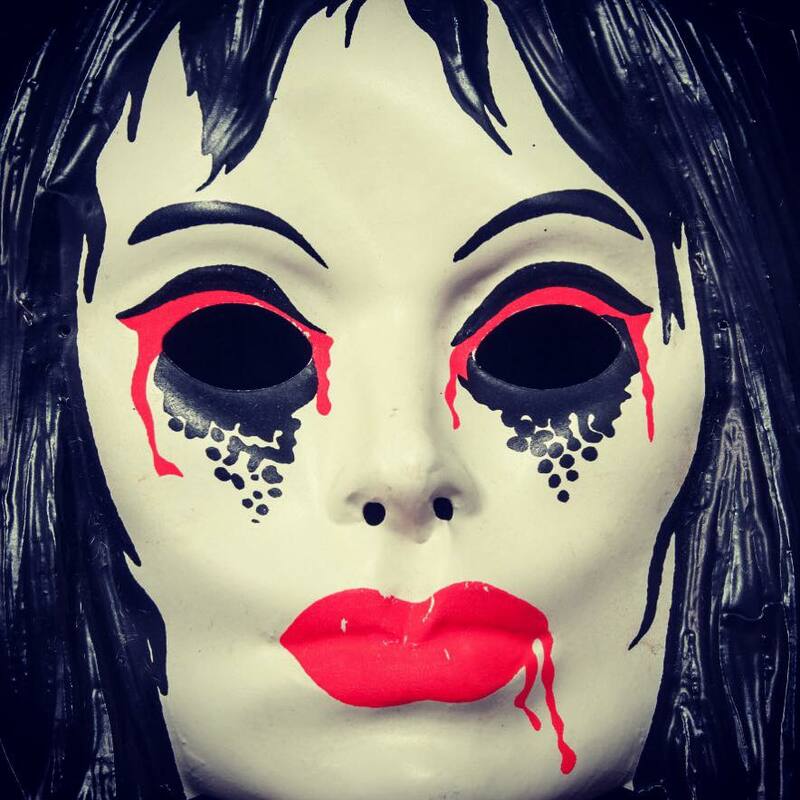 They helped define what Halloween is in America for multiple generations who proudly wore their plastic masks and vinyl smocks, and now Ben Cooper is back. In Part 1 of our extended chat with Nat Cooper’s son Ira Cooper and author Jon James Miller, we discussed the rise of Ben Cooper Incorporated, becoming the biggest Halloween market shareholder by the late ‘70s after successfully bridging the gap from theatrical costuming to everyday dress up made affordable enough for everyday people. They paved the way for the pop culture-influenced cosplay culture of today. The Cooper brothers were also pioneers in licensing some the earliest Disney properties, being among the first in the world to give kids a likeness of Mickey Mouse or Cinderella that they could find at their local drug store. By the 1980s, they were the Kings of Halloween, but the country was changing, as the pop culture icons they helped make famous were now becoming more readily available through all kinds of new products, and grownups began to celebrate the holiday more than ever. In this third and final installment of our interview, the story resumes a quarter-century after Ben Cooper Costumes went bankrupt and was ultimately sold in 1991. Celebrating its 80th anniversary this year, the name and the brand are looking to make a comeback, for all kinds of vintage-cool new items that honor Ben and Nat in their rightful place in Halloween history. Read on for Part 3 of our interview with Ira Cooper and Jon James Miller! Ben Cooper ‘Star Wars’ costumes ad. HDN – If they were here now, what do you think Ben and Nat Cooper would think of Halloween and costuming and just how the industry is today? Do you think they would feel a little pride or ownership over that, or do you think they would be more weirded out by it? IRA – There would be no ego around it at all. They were very practical people who did not lord their position over anybody. They did one interview, with People Magazine, and never did another with anybody. Nat kept himself out of the limelight. He worked 10 years on (signing) Sesame Street, and you could barely get him to take credit for getting the license. The head of licensing for Sesame Street took me aside after dinner at The Plaza in New York and he said, ‘Your father is the most tenacious businessman I’ve ever met.’ That’s a tremendous statement to make. They were just so private that way. They didn’t decorate their houses with anything. I think Dad had a couple of Disney (film animation) cells at home, but nothing major. He had absolutely nothing that indicated Halloween. If there was art on the wall, it was art from other people. Although they talked about it and they lived the business, they didn’t identify with it in that way. So I think they would just think it’s crazy where it went. Nat always said that people are missing the low end of the market. There is always going to be X-number of millions of dollars in low priced items for people who cannot afford this other stuff. I think they would notice that still is not being served. The retailers don’t want to devote the space. Lady Vampire mask by Ben Cooper. JON – I think they’d be more flattered about cosplay. IRA – They’d be mesmerized by it. JON – I think in as much as they pioneered play suits for everyday wear, that was done in the ‘50s, so that was way ahead of anybody else as far as the cosplay lifestyle today where people can dress up every day. IRA – I don’t think they foresaw adults running around identifying with superheroes. And that’s the essence that I get from cosplay, that it’s this psychological identity with it. JON – I think the brothers Cooper would take a little satisfaction in the fact that Halloween is an $8.6 billion industry. And it’s inflation-proof on top of that. IRA – And it always was. Even in the worst recession years, Halloween did not lack growth. You could always measure how good the Halloween was going to be at the end of the season by looking at the candy sales in the beginning. If candy and party goods were good, they knew people were going to be buying those costumes eventually. Some years were very late sales and we’d see the stuff moving off the shelves in the last seven days, and other years it moved off in the last 15 days of what was initially only a 30-day selling period. Now the selling period is 60 days or more. Rubber Dracula mask by Ben Cooper. HDN – So after the ‘90s the Ben Cooper brand was dormant for 25 years. What can you tell me about the re-launch and what’s going on now? IRA – I’ll leave that one with Jon. JON – I always loved Ben Cooper growing up. And I kind of forgot about it for a decade or two. Then, I’m a writer too and I was doing some research, and one of my editors said, ‘Why don’t you do something about Halloween?’ It kind of went off in my head that I hadn’t heard about Ben Cooper for a long time. And then I realized there really isn’t anything online about them. So I set about trying to find a Cooper. That took me months and months. I still consider it a minor miracle that the Cooper I did find was Ira. He’s the nicest guy on the planet. He took mercy on me and kind of told me the family story. That’s really one of the unsung heroes of this whole story; how a Jewish immigrant family got their start and realized the American dream by taking over Halloween. They are exceedingly modest, the Coopers are, especially Ira. What I bring to it is that I can see how people would be really interested in this story. It’s never been told before. Short of making Halloween costumes again, which I don’t see in Ben Cooper’s near future, what I do see is doing collectibles and telling that story, because it’s really a pop culture phenomenon in and of itself. They lived off pop culture for 50 years, and then they became it, because of their stature in the Halloween industry. So Ira and I really hit it off, and we’re working on a book about Ben Cooper, the official history. HDN – Oh, cool. That’s going to be great. Ben Cooper ‘Star Wars’ 40th anniversary shirt. JON – We’re very slowly rolling out a couple collectibles at BenCooperCostumes.com, starting with a 40th anniversary Star Wars t-shirt (pictured above), and we’ve got a couple of other things that are in the pipeline. What I love about Ben Cooper is they kind of touched on everything in their time in the limelight. So you have super awesome Disney, Marvel, DC, Star Wars, basically any pop culture icon you can think of had its own costume back in the day. But what I love about the costumes especially is they actually are kind of folk art. You can still buy a costume fairly cheaply online, and it brings you right back when you open that box and see that mask right in front of the costume. You’re teleported right back to your childhood. That kind of nostalgia is hard to come by these days. And a lot of the costumes I buy, because I’m a collector too, they’re in really good condition. Some of them are haggered and ripped and stuff, but some of them are like they just came off the line at the Cooper factory. It’s largely luck to get one in that kind of condition, but I think Ben Cooper costumes are the only collectible that it’s cool if it’s got chocolate all over it when you get it, because somebody loved it. HDN – When is the book coming out? JON – We’re estimating it’s going to be out in time for (San Diego) Comic-Con next year. So we’ll launch it, and then that obviously leads into the Halloween 2018 market. We’re hopeful that the book itself is going to be a bit of a collectible. We’d like to capture as many Ben Cooper Halloween costume images as possible. HDN – That sounds so cool. I’m sure it will be a collectible in its own right. So costumes are not part of the plan right now? IRA – I think we’re going to tell the story of Ben Cooper, but I don’t think it’s going to be an emerging area for youngsters. I think there’s a certain level of contemporary young adults who recognize that the art is nostalgic, and recognize the vibrancy of it, and we’re going to see some classic Ben Cooper images on some fashion items and home décor. These are things we have in the works. But right now it’s time to tell the story, and give Ben and Nat their due. Following that initial release of the Star Wars 40th anniversary Ben Cooper t-shirt earlier this year, the new Ben Cooper has also since unveiled a number of other retro flavored items, including collectible pins, apparel, and additional shirts. You can find out more about these and upcoming releases at the official Ben Cooper Facebook page and on Instagram. Ben Cooper is also the subject of a great new exhibit showing from Sept. 9 through Halloween at the Mystic Museum in Burbank, CA, featuring never-before-seen prototypes, archive photos, original art, masks, and more. If you have stories or photos of you and your Ben Cooper costumes, be sure to share in the comments below! Ben Cooper Vampire Bat lapel pin from Vixen by Micheline Pitt. Ben Cooper monster mask swing skirt from Vixen by Micheline Pitt.